Hours: Thurs-Sat 12-5 and Sunday 12-4. 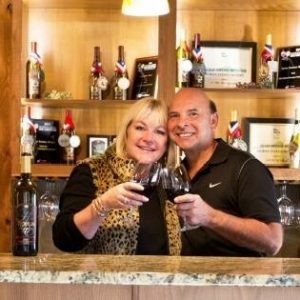 Take a journey through Wenatchee history at Horan Estates Winery while enjoying our award winning wines! The cozy Tuscan style tasting room will lure you in, but the wines will invite you to stay! We boast 9 different award winning wines! 3 whites and 6 reds. Each of our labels tell a story about the historical Horan Family from Wenatchee, WA who are related to co-owner Beth Dobbs.